Security flaws are very much the order of the day currently, with both the iPhone and Galaxy Note II finding themselves in the middle of a lock screen-related security storm that just won’t go away, even after software releases that were supposed to correct the issue. 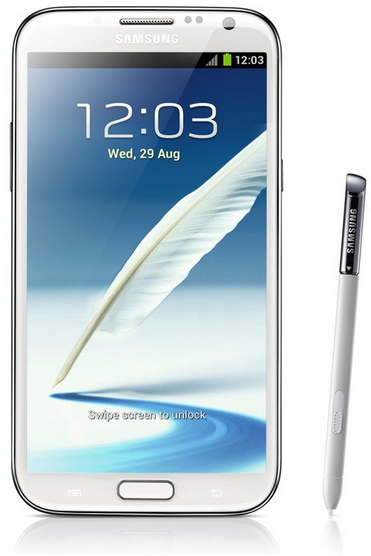 Today, Samsung’s Galaxy Note II is once again in the headlines for all the wrong reasons, with the oversized smartphone (or miniature tablet) finding that it’s not always that easy to keep things hidden these days. Developer and killer of passcodes, Terence Eden has discovered a second security flaw that allows users to potentially launch apps and gain control of a Galaxy Note II just weeks after he found the first. Either Samsung’s phone has more holes than a sieve, or Eden is particularly in tune with finding ways through its lock screen! A similar method of bypassing lock screen security to the one we reported earlier this month, this particular security hole comes courtesy of Samsung’s emergency call function, which allows users to make calls to the authorities without having to unlock the device in case of, you guessed it, emergencies. The problem here is that this feature gifts users a way to potentially launch apps and, if they’re really up for it, to disable the lock screen completely. Sounds alarming? Keep on reading further. In order to do that though, whoever’s trying to get into your device will need some time – they’ll have to persevere, loading the Play Store and then downloading an app to disable the lock screen one tap at a time. It’s not a quick process, but it’s one that shouldn’t even be possible. Dialing contacts on your home screen is a simple affair, however, so that may be a bigger issue depending on how you happen to look at these things. The Galaxy S III has also been in the middle of similar issues of late, so it remains to be seen whether the very recently announced replacement to that handset, the S4, will suffer from the same security flaw as its predecessor. Until we find that out, the main thing for Samsung right now is to get software updates out to its existing devices as quick as possible. If not quicker!